Welcome to Touchstone. Oxford’s leading loft conversion and kitchen extension expert. Touchstone are a very experienced and fully equipped builder in Oxford. We offer a one stop package where there is no need to throw money at the architect. Why not come to the builder directly, who can not only design, but also design what can actually be built thus saving you time and money. All plumbing and heating , boiler fitting, commissioning and kitchen fitting. 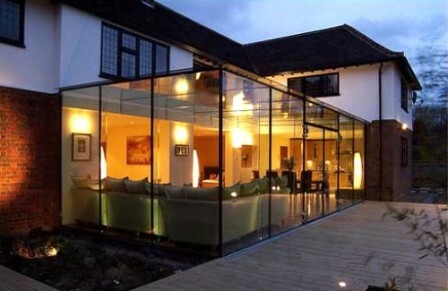 A kitchen extension in Oxford is the most popular type of home extension in Oxford. These extensions transform your living space as the accommodation added can easily double the ground floor living space and add significant value to your home. Traditionally most kitchen sizes in older houses are much smaller than what is required in modern lifestyles. Modern lifestyles now require the kitchen areas to be connected to the living areas. Therefore the kitchens extensions in Oxford are very popular indeed. The extended areas creates a larger kitchen which has a living area and where there is a seating and a relaxing snug area and also dining area. The larger ground floor room usually has a large patio door towards the garden which provides easy and open access to the garden. The new living area caters for a modern lifestyle where the family can cook, eat and relax together and the same can be done in the garden area where it easily caters for alfresco dining when the weather permits. 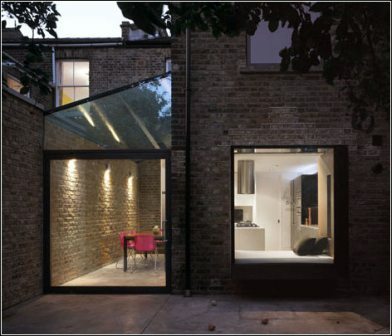 A ground floor house extension can be created by extending into the side return which can be one to three metres wide and backwards into the garden area, which can be up to four metres. The roof area can be a source of natural light by adding roof lights. The patio doors provide easy access into the garden as well as providing more light into the whole room. Most of the conversion can be done without the need for planning permission as the conversion can be done by utilising “Permitted development” regulations and a “Certificate of lawful development” can be provided to provide you with a legal documentation for your kitchen extension in Oxford. We take care of all Plumbing and heating including new Boilers and kitchen fitting. Side returns conversions are one of the most popular types of Home extensions in Oxford and one of the most popular types of kitchen extensions in Oxford. A side return is found in only a certain type of property in Oxford. Generally they are Victorian terraces and there a few of these in Oxford. A Victorian home is two a two sectioned building, the rear section runs into the garden but leaves a gap next to the boundary with the neighbour. The garden area is usually one to two metres wide and from two to ten metres long on average. As garden space this is usually pretty useless as garden because it not wide enough for a border or seating area. It usually become a sight for sore eyes and is used for storing bikes and hosepipes. As internal living space this space is gold-dust. This space is exactly where the room is required for modern lifestyles. This kitchen extension in Oxford is also very cost effective. The typical conversion involves widening the ground floor up to the boundary , the roof can be a flat roof with a GRP fibre glass roof which has a 20 year guarantee with roof lights to let light flood in.